Rollie Stichweh was inducted into the Army Athletic Hall of Fame in September, 2012. The New York Times sports section did an excellent feature on him. Click here to read the article. 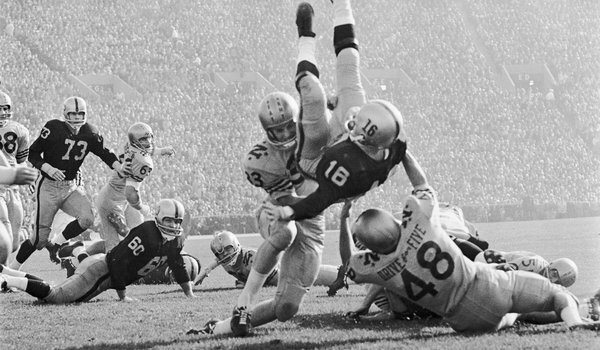 Army’s Rollie Stichweh was upended by his friend Ed Orr and Johnny Sai, right, while scoring a first-quarter touchdown in a 21-15 loss to Navy in 1963.